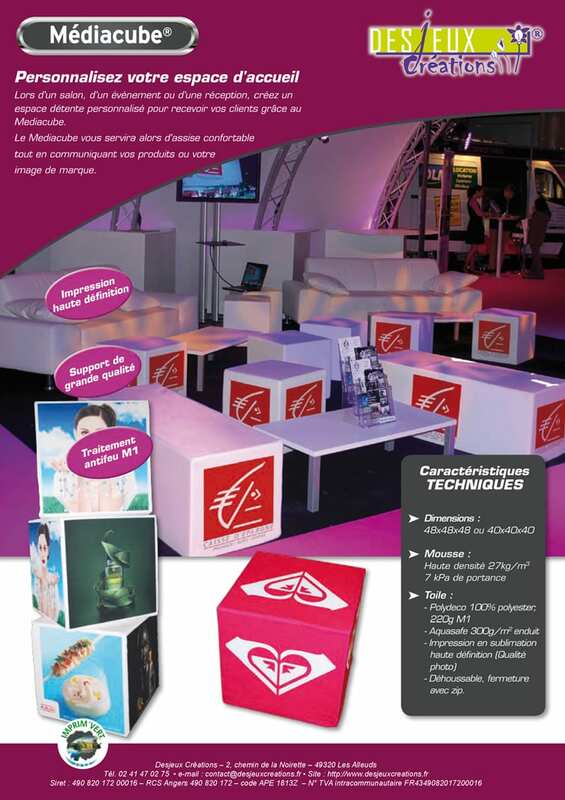 Media Cube is a small foam-filled cube covered with fabric printed with your colours in high definition. 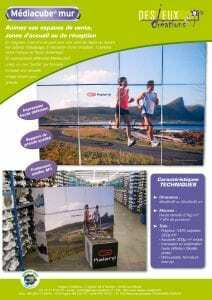 As specialists in digital textile printing, we can print your photos, logos or message on this new support. Use it in stores as a seat in a rest area or by the fitting rooms; or at events as a quirky way to carry your brand. 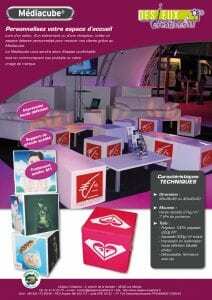 However you want to use it, MediaCube® is the latest - and comfiest - media taking the market by storm! We can also value your image during your demonstration(appearance) thanks to our factual communications tools: stand exposition, comptoir d'hôtesse, kakemono, roller banner, mobilier en carton, winflag, logo et lettre 3D, toile grand format. Share the post "Media Cube"